be printed on a matt translucent film. Or a sticker in black where only the numbers are illuminated. 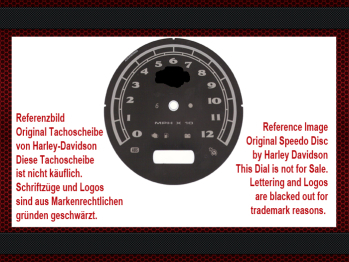 This sticker was rescaled from an original MPH speedometer dial to Km / h.
Not from a photo like other competitors. 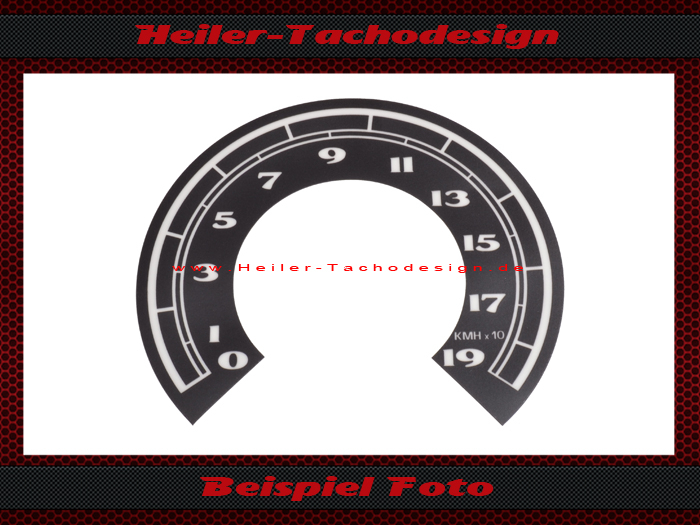 This guarantees a precise indication of the speedometer in km / h.
with the pictured original speedometer disc. Please also at what height the display sits. Please also pay attention to the year of construction. We take these as a template. Only then will accuracy be guaranteed. Year of construction and diameter of the speedometer. The foil can be easily mounted!